You are here: Home / News / Join us at the Black Box - Friday, Oct 20, 8-10pm! Join us at the Black Box - Friday, Oct 20, 8-10pm! 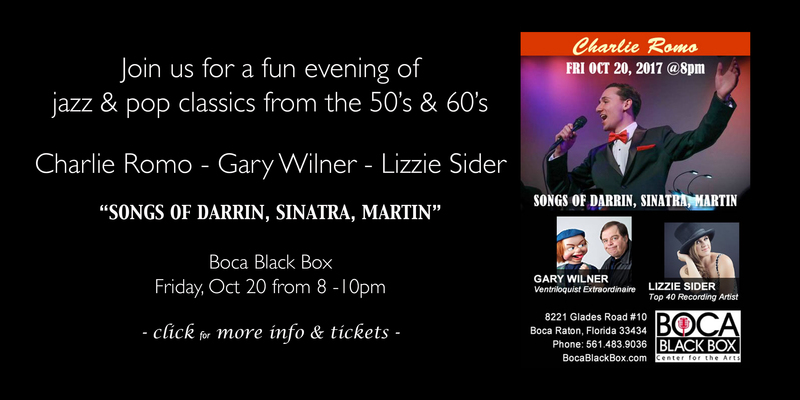 Join us for an evening of jazz and pop classics of the 50's and 60's! 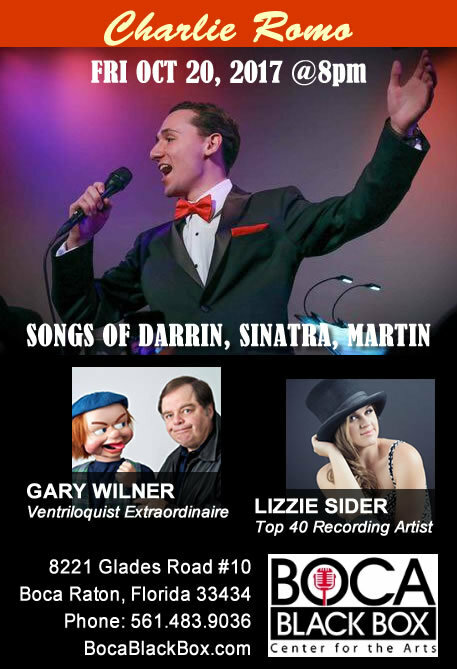 "Songs of Darrin, Sinatra & Martin"